A good amp will boost your sound. A great one will supercharge it. An amp should be the center of your hi-fi world. Everything flows into it, and everything flows out of it. There's a lot of mystique that has sprung up around amps, and a lot of related jargon that has been created over the years, but the good news is that the standard is really high now - even for budget amps. Below, we've highlighted this year's top models, and no matter what budget you're on, there's a model here that'll supercharge your sound system. We're covering only integrated amps here - no discrete power or preamplifiers - and we've tried to keep prices sane. For more background information on stereo amps, see our comparison table and buying advice below the picks. What We Like: Huge sound, ease of use, recently dropped in price. What We Don’t: Very little. We have one word for the Peachtree Audio nova300: thunderous. It boasts roaring bass, crisp highs and an outstanding richness that most amps can only hint at. An ESS Sabre digital-to-analog converter and a clean digital circuit that creates some fantastic sound, particularly when it comes to shaving down the edges on harsh recordings. This is a true audiophile amp, and it’s spot-on for anyone wanting crisp fidelity at top volumes. What We Like: Improves on already excellent line. What We Don’t: No digital inputs? What’s with that? For sheer value, this easily beats out bigger amplifiers, and its ability to slot right into almost every setup, makes it an easy top winner for us. Besides, we've always loved Rega amps; we included the Elex-R on previous versions of this list, and after much consideration, we decided to replace it with the absolutely superb Brio - the newest version of which came out this year. It won't beat the Peachtree for sound, but in terms of combining solid audio quality with outstanding value, this kills it. It's a compact powerhouse that takes all of Rega's combined knowledge about good sound, and distills it into an almost flawless output. You have to hear this amp to believe it. It's not the most overpowered, but it possesses stunning detail and articulation. If you want to hear just about everything in your music - and pay less than a grand to do so - then you should absolutely be checking this out. The only downside? No digital inputs, which means no optical connections. That's kind of annoying, but it's not enough to knock the amp off this list. What We Like: A stunning budget model with huge sound. What We Don't: It would have been nice to see even a basic DAC included. Onkyo's A-9 series has been a firm favorite of ours for some time. The original A-9050 featured on this list previously, and the new Onkyo A-9110 makes some significant improvements. While the casing has undergone a slight redesign, the biggest changes are internal. Most of them are to do with improved amp circuitry, and circuits that reduce the length of time it takes for the audio signal to travel from place to place. The result, genuinely brilliant sound. For an amp that costs less than $300, you're getting audio quality that is just staggering. This is easily a top budget pick, and it also helps that it comes with a wide range of connections, including a phono stage. What We Like: Room correction, stellar sound, super-clean display. What We Don’t: Very expensive, compared to many on this list. The Anthem STR is a wonder. 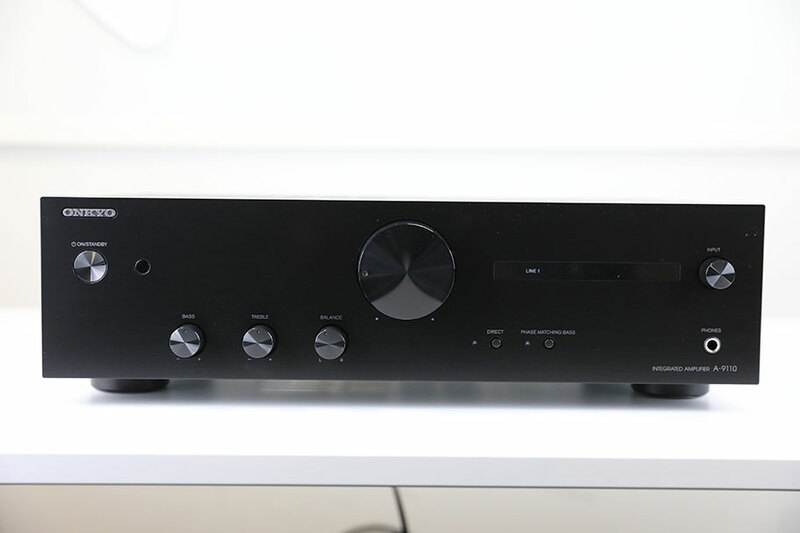 It's beautifully designed integrated amplifier, with very decent power (200 watts at eight ohms), and a great on-board DAC with the ability to handle DSD. 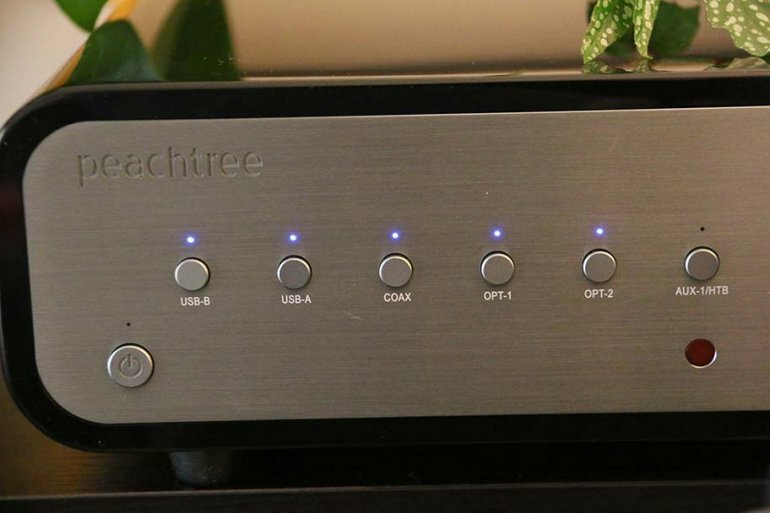 It also has a huge range of inputs and outputs, easily comparable to amplifiers like the Peachtree Audio nova300. It's true that we could pick five or six-figure amps for this spot, but the STR delivers all that they do, at a significantly lower cost - even if the price tag does slot it firmly into the high-end bracket! The STR has plenty going for it, including Anthem's fast-becoming-legendary room correction system. It sounds both thunderous and pinpoint-precise. Although it's a sound that can be a little rudimentary without the room correction turned on, once it's activated, it's absolutely gorgeous. Ultimately, we don't think that it's worth the extra $2,000 over the nova300, which offers great sound and usability half the cost, but this is still an absolutely brilliant amplifier. If you can afford it, then it will make one hell of a centerpiece in your hi-fi system. What We Like: An amazing update to an already amazing amp, compact and powerful sound. What We Don't: Not ideal for high-end speakers - even in smaller rooms. PS Audio's original Sprout was a little beauty of an amp, and with the new version, they've made it even better. It's more powerful, for one thing - 100 watts into four ohms - although we've given the rating for eight ohm speakers above, which are far more common. The internals have been given a full makeover, too, with a refined DAC and even a phono stage - if you're a vinyl fan. This amp truly excels in smaller setups. If you have a small room, with a couple of simple bookshelf speakers, this is the ideal amp to drive them. It offers tight, compact sound that really fills up the room, and which does so in a remarkably clear way. We think the Rega Brio offers better sound, and the NAD D3020 V2 more functionality - but none complement a small setup like the little Sprout. Be warned: while it can power high-end speakers, it will not sound nearly as good, and the few shortcomings in the sound will be heightened. If you own a pair of really good speakers, get the Peachtree. What We Like: Some genuine improvements to an already fantastic model. What We Don't: Price is a little high right now, narrow power range. We previously named the NAD D3020 V2 as our top budget app, and this is the next generation. 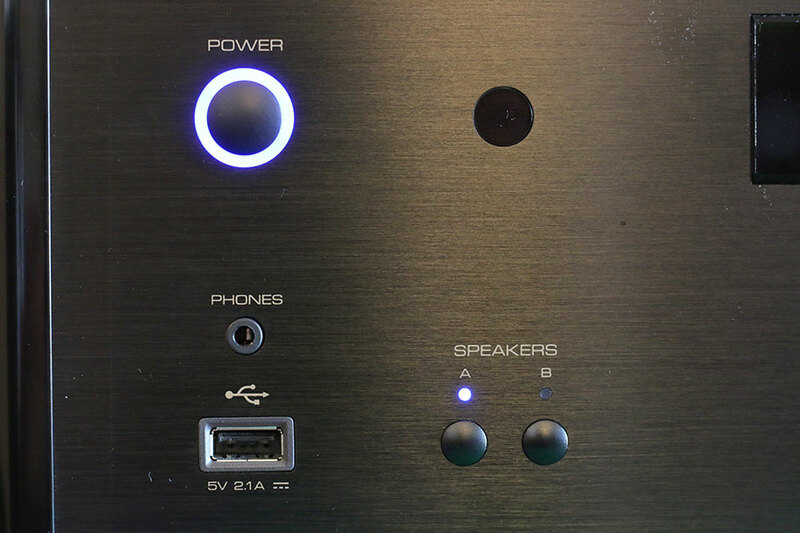 The NAD D3045 doubles the power output, to 60 watts, and adds some genuinely innovative features. Our particular favorite is the two-way Bluetooth, meaning you cannot only send audio to the amp itself, but also have the amp send audio to, for example, a pair of wireless headphones. You get a phono stage for a turntable, and even an HDMI ARC channel for using this amp with a TV. NAD have really outdone themselves this time, and while this amp is no longer budget friendly, it gives you just about everything you could possibly need. The one issue we have with it is that it's little too expensive at launch. 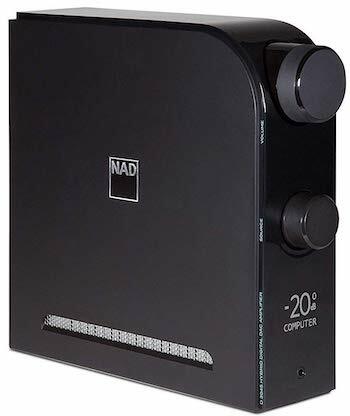 For comparison, the original NAD D3020 V2 costs $300 less, and while it doesn't have the same advanced features, many of them – like the phono preamp and aptX Bluetooth – are still present. As good an amp as this is, paying an extra $300 for it feels like a bit much. We're also a little surprised at the power range - 60 watt RMS, and 80 watts peak. That's surprisingly narrow, and although it's not a major issue, it could make speaker choice tricky. All the same, there are very few amps on this list with quite as many features, and if the price drops a little, this is going to rocket into the upper echelons of our picks. What We Like: Terrific amp from a legendary creator, with sound to match. What We Don’t: It’s no looker. Bryston definitely have a 'house look' - whether you'll be down with that look is up to you. Their B60R, like virtually all their amps, is a straightforward grey box with some knobs on it. While it gets the job done, it's not exactly going to win an award for being the most beautiful amp of the year. That, plus the fact that it costs a huge amount, keeps it off the very top of this list. We think its sound is superb, although we do prefer the bass response of the nova300. What We Like: Glorious looks, stellar tube sound. 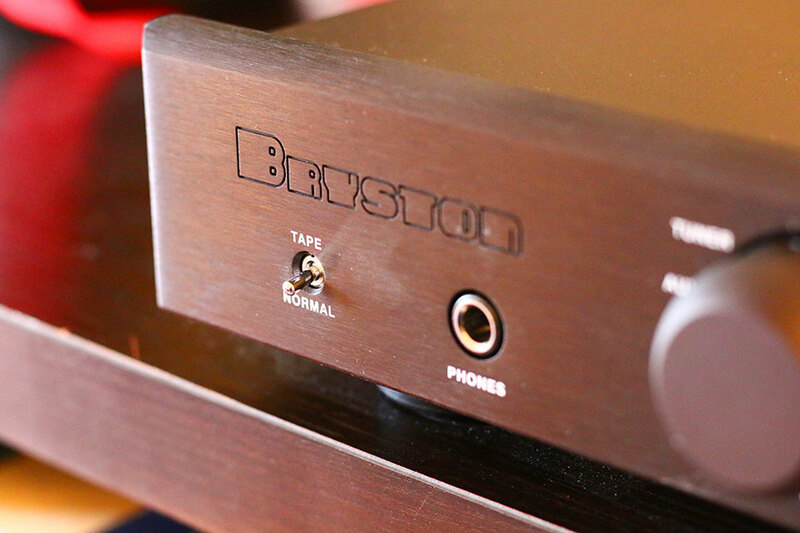 What We Don’t: Not for those who dislike tubes, needs a really good DAC. You know what goes really well with McIntosh's signature blue glow? The green glow from four vacuum tubes. Easily the most eye-catching feature on this new McIntosh model, the tubes also guarantee some fat, punchy, glorious sound. And overall, the design and build quality just scream high-end, and all but begged to have some gnarly blues or soul pumped through it. This is a big improvement on the already excellent MA5200, previously on this list, and although it's not going to be for everyone - and some will call it a statement piece - we think it's a winner. However, it isn't perfect. While it handily competes with other tube models like the PrimaLuna Dialogue, it's large price and those four tubes mean that you've really got to be comfortable with a certain sound signature to enjoy this. If you like your music neutral or balanced, you can steer well clear. And really, for this much money, would it have killed Mac to include a DAC? Yes, we know that separation of components is important and blah blah blah, but surely a little inbuilt conversion wouldn't have killed them? Regardless: this is a winner. 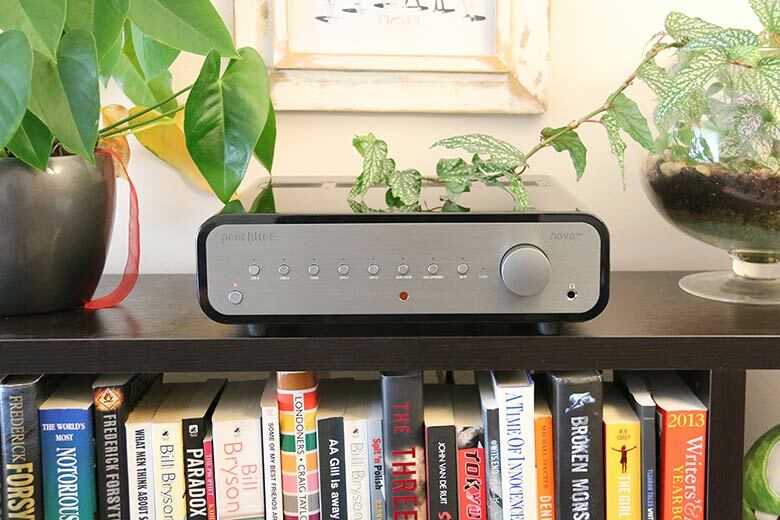 What We Like: Brings SONOS functionality to a traditional stereo amp. What We Don't: Sound is not as good as other models in this price range. Finally, SONOS has released an amp! Streaming music through a SONOS system has always been incredibly simple, and with the SONOS Amp, their services can now be hooked up to a set of passive speakers. The Amp functions in an identical way to any other stereo amp, with the added benefit of Wi-Fi. Once that's hooked up, you can stream music from Spotify, Tidal, or any other service. It doesn't hurt that the Amp is a real looker, with a slick design that compliments other SONOS products. What We Like: All the functionality of more expensive Rotel models in a budget package. What We Don't: No USB input. We're big fans of Rotel here at TMS, and the new A11 amp doesn't disappoint. 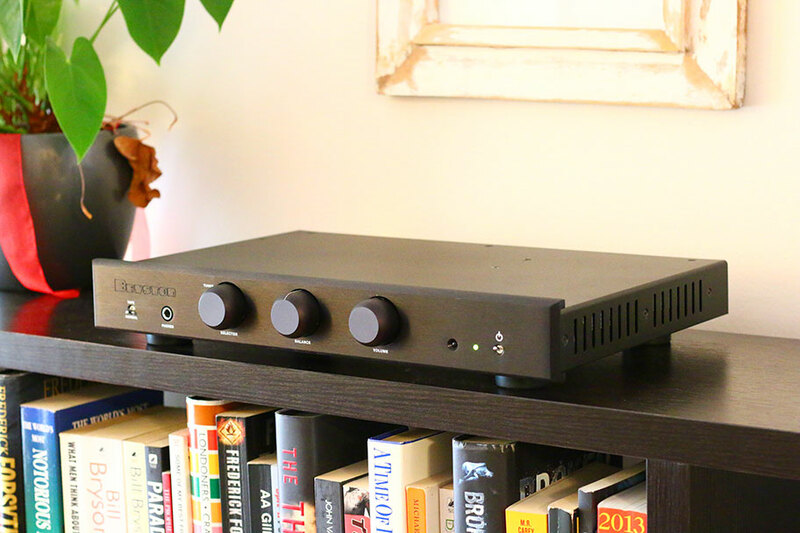 We adored their RA-1592 amp, and it really feels like the A11 takes all the aspects that made that model great, and packs them into a budget system. This sleek, brushed metal box delivers ample power and predictably excellent sound – much better than the SONOS Amp, which is only slightly cheaper. You also get a solid range of features, including full aptX Bluetooth. That being said, it's a little strange to us that, while the A11 contains a DAC from Texas Instruments, the only way to connect to it is through Bluetooth. There's no USB input on the back, meaning you can't hook up a wired connection to a laptop or tablet. That's not a dealbreaker, but it's somewhat annoying. The USB port is a feature that appeared on previous Rotel amps, so its absence is puzzling here. 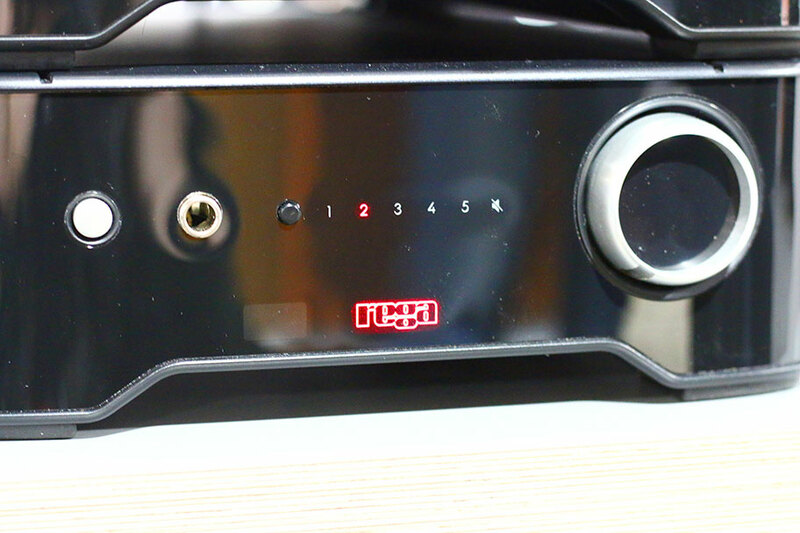 However, we still dig the little A11, which will satisfy anybody looking for an excellent amp at an affordable price. What We Like: Huge value-for-money, and punches way above its weight class. What We Don’t: Lacks Bluetooth connectivity, not super-powerful. This is one of our absolute favorites. It's reasonably-priced, gorgeous little amplifier that does what amps three times the price do (we're looking at you, Anthem). It also offers absolutely staggering value for money. Amplifiers can often be boring – and gods know, Marantz has been guilty of this in the past – but this one looks fantastic, with the circular LED display and wood-effect sides. It sounds brilliant, too – far better than you'd expect for this price. The sound is crisp, clear and dynamic, with a good level of punch, able to handle just about any genre you throw at it. The downsides: it's not very powerful (a mere 35 watts at eight ohms), and doesn't have advanced features, like Bluetooth connectivity. However, we don't think low power is reason enough to knock something down on the list. It's better for an amp to have low power and do a great job with the sound, than to have a ton of power and be a little bit sloppy. The Marantz is excellent, and deserves its top ten place. What We Like: A genuine classic, with great features - like the built-in headphone amp. What We Don’t: Been out for a while, really needs a price drop. If we were going to recommend one Naim amplifier for this list – and really, we'd be remiss not to – it would be this: the storied Supernait 2. It's crazy expensive for what you get, especially considering that it's been out for a while, and it can sometimes be a little bit difficult to track down. But holy moly! What an amp. It's not just the classic design, which, like all good designs, is recognizable from across the room. It's not just the versatility: despite losing a DAC, it includes its own headphone amplifier, meaning it can pull double duty. It's the absolutely stupendous sound. Naim have always been good at this particular aspect of integrated amplifiers, and they really nailed it here, with huge levels of quality, particularly in areas like the bass. If you want a little more power, you should look at the Peachtree Audio nova300 – while the Naim just about edges it on sound quality, it can't beat the Rotel for raw energy, or value-for-money. You'd go for this if you want a reliable, tested amplifier that has enough power to satisfy just about everyone, and which will never quit on you. What We Like: Arguably the best tube amp on this list. What We Don’t: Not for those who don't enjoy tube sounds. If you prefer your music neutral, and all you want is clarity, then you can look away now. The DiaLogue Premium is the apotheosis of all tube amps – well, perhaps not, but with eight driver tubes and six power tubes, you've got a staggering amount of valve goodness here. Couple that with some genuinely clever features, and the amp proves itself a real winner. Our favorites? The little light that tells you that you've got a bad tube; the ability to switch between ultra-linear and triode mode (heads up: the latter drops your output power to 40 watts); PrimaLuna even adjust their circuitry to prolong tube life. What's not to love? That being said, while we do dig this amp, we can't objectively place it above models like the Peachtree Audio nova300. It's a little too forceful: while it offers gorgeous sound, it's definitely not going to be for everyone. Still, we have a real soft spot for it. If you're prepared to spend $1,000 more, you can have a headphone amp included. We put that model on our list of the best headphone amps of this year, so check that out too. What We Like: Still an absolute beast of an amplifier. What We Don't: Not quite enough of an upgrade to justify the increased price. The new Parasound Halo Hint-6 definitely deserves a place on this list, and a place in your setup if you want an amplifier that will deliver some serious power. The 160 watts it puts out feel absolutely massive, with some serious low-end weight and presence. While it has looks that are comparable to the equally-clunky Rotel A11, there's no question that the sound is absolutely immense. This new update on the original Halo Integrated focuses mostly on the internals, with an improved DAC, an adjusted phono stage, a new optical input, and a dimmable display. The problem is, we don't think these upgrades are necessarily worth an extra $500 over the original Halo – not when the latter is still available. We love this amp, and we adore the audio it puts out, but there are other high-end options available that offer more value for money. What We Like: Huge energy, exciting sound. What We Don't: Agility and detail in the audio could be better. Cambridge Audio make some genuinely fantastic stuff, and this 80-watt amplifier is no exception. It may not have the agility and detail of amplifiers like the NAD D3045, above, but it makes up for it by using every drop of its power to deliver a thunderous sound signature. When we recently had it in the office, along with Cambridge's CXN streamer, it quickly replaced our previous pick, the CXA60. What We Like: Terrific sound for the price. What We Don't: Ugly-as-hell, slightly confusing purchase options. If all you want is raw, boiling power, then the Wyred4Sound STI-500 V2 is what you need to get. Outputting 250 watts at 8 ohms is one thing – delivering it for under $3,000 is quite another. Very few amps on this list can do that – the top-ranked Peachtree Audio nova300 is one of them. And if you have the speakers that can take it, the STI-500 will deliver some mind blowing power and presence. There's even an upgraded version, the STI-1000, that puts out an enormous 460 watts of power. But power isn't everything, and this amp has some issues that have nothing to do with the sound stop it manages to be both boring to look at and deeply ugly, which is quite an achievement. We know there are plenty of listeners who aren't interested in the looks, just the sound, but we're all about the experience here at TMS, and looks are part of that. Wyred4Sound have some way to go here, If you can get past those issues – and slightly confusing purchase options on the company website – you'll find one of the most powerful amps available in this price range. What We Like: Great sound. What We Don’t: Slightly underpowered, Bluetooth is finicky. This one surprised us. Slowly, Pro-Ject has proven that it can more than take on the big boys. Despite the fact that its low wattage per channel means it won't be able to take speakers over 12.5 watts - 18.5 at four ohms, although Pro-Ject does say it's two-ohm capable - it's still an excellent model. To our knowledge, it sells well. And although it's far from our favorite, it matches up well against models like the NAD. The sound is crisp and clear, with fantastic dynamics and great range. Partnering it with a good set of speakers will improve things even more, and it's not as if you're lacking options for connectivity. You can connect directly to your PC or Mac with a USB, and you even get two Toslink inputs, for optical use. Right now, we think it's a little overpriced for what you get, particularly in the power department, but if the price drops, you can bet that this amp will be climbing up the list quickly. If you can get past the price, along with the low power and the slightly fiddly Bluetooth setup, you got a real winner with this one. What We Like: Incredible sound. What We Don’t: Incredible price. Legendary engineer, Dan D'Agostino, outdid himself this time. The Momentum is an absolute monster: a steampunk behemoth with some serious circuitry. It's got an improved driver system, and individual transistors on the circuit path, and if that's gobbledygook, then all you need to know is that this is one of the best amplifiers on the planet, and one to buy when you strike the lotto. It's a stand-alone power amplifier (as far as we can tell) with the distinctive, signature power meter front and center – a holdover from D'Agostino's legendary monoblock amplifier. Despite it's earthshaking output of 200 watts into eight ohms, it puts out a mere one watt when on standby, revealing an extremely efficient power core. The output stage has seen a redesign from the previous version, as well - although, if you owned the previous version, then chances are you're scoffing at this list already. For those of us who haven't yet tasted the joys of a Momentum Stereo Amp, enlightenment is only a simple remortgaging away. By the way: one of the amps we decided to leave out of this list, mostly because it's far too pricey for most people, was the $9,000 Pass Labs INT60. That's also worth a look, if you want something slightly more affordable. One of the amp releases we're super excited for this year is the AX-505 by TEAC. They haven't appeared on this list for a while, as we haven't been super impressed with their recent amps. However, the AX-505 is looking to be a monster, and although we haven't had a chance to hear it yet, we have high expectations. The housing is pleasing to the eye, including some chunky VU meters. There's no included DAC, but you do get a powerful class D amplifier that's capable of outputting 70 watts per channel at eight ohms. In addition, the AX-505 comes with innovative circuitry that prevents overheating, meaning you never need to worry about your speakers demanding too much power. Expect this amplifier to make it onto the list in the near future. Peachtree Audio nova300 $2,299 17lbs 300W/8Ω Yes 400W/8Ω 14.8" x 13.25" x 4.4"
Onkyo A-9110 $290 15.4lbs 50W/4Ω No Unknown 17.1" x 13" x 5"
NAD D3045 $699 5.7lbs 60W/8Ω Yes 80W/8Ω 10.4" x 9.,3" x 2.8"
Rotel A11 $699 15.1lbs 50W/8Ω Yes Unknown 17" x 13.5" x 3.6"
PrimaLuna DiaLogue $3,399 66.3lbs 70W/8Ω No Unknown 15.5" x 15" x 8.3"
Pro-Ject Audio MaiA $575 4lbs 25W/8Ω Yes Unknown 5.9" x 4.9" x 1.5"
What Is A Stereo Amp? A stereo amp is the center of your hifi setup. When audio signals come from their source, they aren't very strong at all. In fact, if you heard them straight… well, you'd barely be able to hear them at all. At its most basic level, the stereo amplifier takes this source sound and makes it louder, using the current from its power supply to increase the overall volume of the sound. Furthermore, it uses its internal circuits to convert the sound into a format that your speakers can make sense of. Stereo amps also control where the sound is sent - each amp will have at least two channels that you can push the sound to. It will also sharpen and improve the sound, which is why some amps are so expensive! And as is our wont with these things, we like to point you in the direction of other bits you may need, such as bookshelf speakers. We mentioned at the very start of this article that stereo amplifiers can run into five and six figures, and get there very quickly. So the question is: how much should you spend? For most people, $5,000 should be a realistic cap. Audiophiles will probably disagree with us on this, but we think that at some point, you start to reach a level of diminishing returns. This point is open to debate, but we think that north of about $5,000, quality differences start to level off. Sure, you'll get an amp that bucks the trend – very obviously, something like the $57,000 D'Agostino Momentum Integrated is going to be better than the $599 PS Audio Sprout100 – but for the most part, what you're paying for as the price increases is more power. Let's be honest: most of us simply don't need that much power. An amplifier that generates somewhere north of 100 watts per channel is almost certainly going to be sufficient for the vast majority of people. And as long as you pair an amp with a good set of speakers, there's absolutely no reason for you to break the bank. That being said: we do recommend that you put a little bit of money into your amplifier. It would be a waste to take a $3,000 amp and match it with a set of speakers that cost less than a sixth of that; your speakers just won't be able to fully express the details that the amp wants to show. So as a general rule, try to make the price of your amp match the price of your speakers – and if you have two choose, always pay more for your speakers. They are, by far, the most important part of your signal chain. You may come across a puzzling little term as you peruse this particular product type: integrated amplifier. This is different from a power amplifier, and here's why. Every amp needs two things to do its job properly: a preamp stage, and a power stage. Together, these work to amplify the signal to a level that we can actually hear. If they're together in one box, they are known as an integrated amplifier. If they're separate, they are known as a preamplifier and an amplifier, and they will be discrete pieces of equipment - usually, if made by the same manufacturer, designed to be stacked on top of one another. The advantages of separate pre and power amps are numerous. The foremost one is that you can swap out components as you see fit, allowing you to customise your sound. The disadvantages, of course, is that having two separate pieces of equipment is more expensive. For most people, it's much easier, and far more common, to buy an integrated amplifier, with both components contained in one housing. Very obviously, you can't swap things out further down the line, but the cost will be less, and the convenience is much greater. All the amps on our list above are, as we mentioned, integrated amps. Want to find out more about this topic? We have a full, in-depth explainer here! Wattage, very simply, is the amount of power an amplifier puts out. It's not strictly analogous to volume – you can, after all, turn that up and down regardless of power – but it gives you an idea of how potentially loud and amplifier can be, and the kind of speakers it can power. When you're building your hi-fi system, it's a very useful thing to know. You'll notice that, in the listings for our amplifier picks, we've included listings for RMS, or continuous wattage. This refers to the overall volume of the amplifier over a long period of time – while this period varies, depending on the manufacturer, it's generally considered to be a good indicator of how much power the amplifier will put out at average listening levels. Please, by the way, don't ask us to explain what RMS (Root Mean Square) means. The maths defeats us. Peak wattage, which we've included in our table where possible, is the absolute maximum the amplifier can put out: a single short burst of power. Really, that's it. Average versus peak. And many manufacturers don't even bother giving the peak, which makes things very easy indeed! Some do though, and it can be handy when choosing speakers. The $2,299 Peachtree Audio nova300 is a good example - 300 watt RMS, a monstrous 450 peak. You almost never need to pay attention to the peak power – chances are if you pump things that loudly, you're going to damage your hearing. But knowing these two values gives you a good idea of just how powerful an amplifier can be, and it's very useful when you're working out which speakers you should match to your amp. There's a whole guide to doing it right here, which will answer every question you have. And please believe us when we say it's not complicated. It just takes a little time to explain! DACs are Digital to Analog Converters. Your audio exists as ones and zeros until it passes through one of these, whereupon it is converted into electrical signals that are used to power the speakers, which then give you sound. You need one of these. The good news is, chances are your audio source has them already - especially if it's a laptop, tablet, phone, or CD player. The bad news? 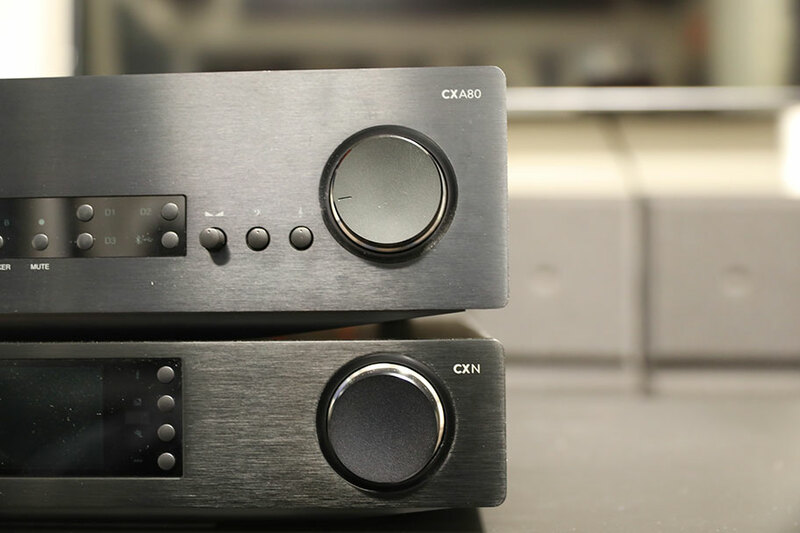 These might not be very good, and it can be worth investing in a separate DAC. Not every amp on our list has a DAC built in, either. Make sure you check before you buy. If we had to pick the amplifier with the best DAC, we'd probably go for something like the $2,995 Parasound Halo Hint-6 , which offers absolutely superb conversion. It's not quite our favorite amplifier, but purely in terms of this, it takes the cake. Don't get hung up on the different types of amps. While it's always handy to know the difference between Class T, Class AB, tube, monoblock and the like - and we've highlighted some of the differences in the models here - amp quality is high enough now that this is something you can comfortably leave out of your buying decisions, if you want to. Your amp choice should be guided by the number of channels you need, your existing setup, your sources and the space you have available. That being said, this sort of thing is always good to know. So, in short order, here is a sampling of some of the more common jargon. A common type, where both output stages are always on. What this means in practice is that distortion is very low, although the amps aren't very efficient. A type where only one output stage can be on at once, which improves power efficiency at the expense of sometimes adding distortion at the crossover points between frequencies. As you might have guessed, this is a hybrid of the above two types that maximises the advantages while eliminating the disadvantages. Amps that have this circuit are reasonably efficient, and have limited distortion. A good example of this type would be the Cambridge Audio CXA 80. A type which uses active transistor switches. The electrical explanation is a bit complicated, and what it comes down to is this: Class Ds are highly efficient, and are often smaller and lighter than other models. They also don't run nearly as hot. Note that if you see Class T anywhere, it's a variation of this type, made by Tripath. You actually won't find many of these - Orb Audio's old Mini-T, now discontinued, used to be one of the few in this class. Something you'll often see in more expensive models. Usually, a single amp powers both channels, but in monoblock systems, each channel has a separate mono amplifier. More power, better sound. There aren't any monoblocks on our list. Sometimes known as valves, these tiny glass cylinders are responsible for the soft, squidgy warmth that some amps are known for. Not a typical feature of stereo amps - they are usually found more commonly in headphone amps - but they do appear sometimes. For example, see the PrimaLuna Dialogue Premium. A channel is a single source of sound; your iPhone, for example, would be one channel (yes, we know an iPhone can play stereo, but work with us here). The actual circuitry needed to handle a single channel sound isn't that complex, and in cheap amps - which typically have fewer channels - you won't be paying as much for high-end components. This is a roundup of stereo amps, and stereo, by definition, means two. You can, however, pick up models with more than two channels, which allow you to add multiple speakers as well as things like subwoofers. Obviously, we recommend doing this, as it will broaden and deepen your sound. We go into subs in more detail below. When you start adding channels – which you will be doing very quickly if your audio setup is even a little bit complex – things change. Suddenly, you're looking at things like high-end digital-to-analog converters, specialized tubes and valves, and even heatsinks in the case of very large amps. All of these components color the sound, giving it a pleasing character, and pretty soon you'll find you're paying as much for the sound quality as you are for the actual hardware. That's without talking about the options a good amp will give you to control the sound; expect to find EQ sections and other filters to allow you to customize the sound to your particular environment. One of the things that amplifier manufacturers like to do is deluge you with stats and specs, without actually telling you what they mean. That means that wading through the technical details of an amplifier can be a royal pain in the neck! Here at TMS, we take issue with this sort of thing. So, we're going to break down some of the more obscure specs you'll see in manufacturer webpages. The good news is that, for most people, these simply won't need to be considered, which is why we haven't mentioned them in our comparison table above. Audiophiles will certainly pay attention to them, but things like wattage are usually far more important in determining whether an amplifier can slot into your setup or not. Sometimes referred to as THD+N (the N stands for Noise), this measures what the amplifier does to the sound that comes through it – in other words, how much it's changed from when it enters the amplifier to when it exits. Obviously, unless you're dealing with things like tube amps, where you want a little bit of coloration, you want this number to be as low as possible. The good news: it is! In almost all cases with modern amps, the THD is so low as to be practically non-existent. Perfect example: the Anthem STR, which has a THD+N of…wait for it…0.02%. Whenever somebody tells you that THD is crucial to measuring how good an amplifier is, you have our permission to laugh at them. Unless the THD is over 1%, you can safely ignore it. In addition to the music being put through it, every amplifier will make a little bit of noise on its own. It's made up of electrical components, after all, and these sometimes make noise in the operation. A signal-to-noise ratio is a measure of just how loud this noise is – or rather, how many decibels, in comparison, that the amp can pump out. Counterintuitively, the larger the number (which is measured in decibels), the better the SNR. Again, you can safely ignore this, because if an amp has a signal-to-noise ratio bad enough to need mentioning, it's not going on our list. We've already talked about amplifier channels, and crosstalk is simply a measure of how well an amplifier separates the sounds in the channels. If it does it badly, then you won't be able to pick out stereo separation, and things will sound muddled. Like SNR, this is measured in decibels, only with a minus sign (-) in front of it. The larger the number behind the minus sign, the better the stereo separation will be. This one is a little more important than SNR and THD+N, but only a little. We touched on this in a previous section, so let's go into more detail. Not every amplifier on this list will be set up to handle subs. Those that are, like the Peachtree Audio nova300, have a discreet subwoofer output on the rear, and technically could be counted not as true stereo amplifiers, but rather, amps that offer 2.1 functionality. You don't technically need a subwoofer. Not every listening setup is going to have a requirement for it, or even the space to have one. But our take is that your system will always be better with the low-end filled out by a dedicated system, and if you have the space, and the budget, pick up an amplifier that can handle it. The good news is that you won't need to worry about the amplifier devoting power to the subwoofer. In 99.9% of cases, the subwoofer will draw its own power from the mains, and all you need to do is route an audio signal to it, which can be done using a simple RCA cable. Win! Normally, we don’t put a lot of emphasis on the weight of a piece of equipment. It’s nice to know, in terms of being aware of your chiropractor bill after you’ve pushed it into place, but it’s not essential. With amplifiers, that’s a little more complicated. Put simply, good amplifiers rely on good power management, and the equipment to manage power well is often heavy. One of the easiest signs of a good amplifier is that it makes you grimace when you lift it. Compare something like the Peachtree Audio nova300, number one on our list, with the Pro-Ject Audio MaiA. The latter weighs 4lbs, while the former clocks in at 17lbs. Guess which one has better power management? However: newer power supplies and lighter components mean this rule is a lot less hard and fast than it used to be. 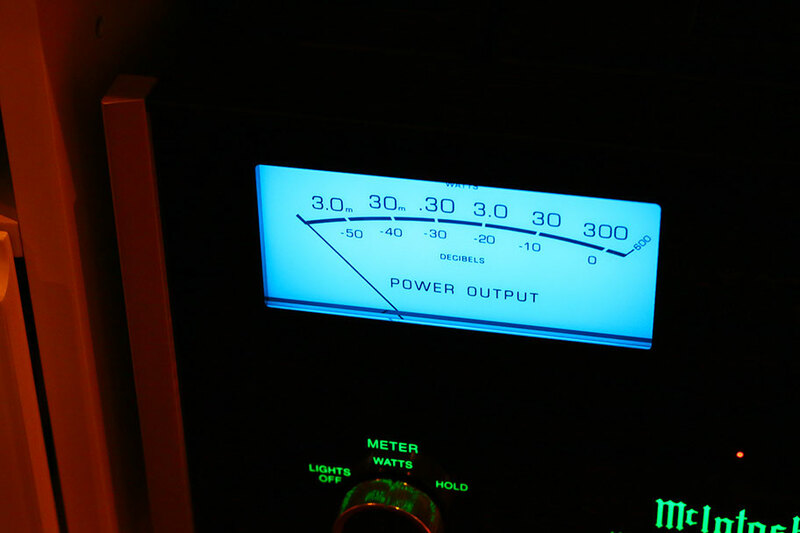 When it comes to things like power amplifiers, it’s still very much applies, but in the case of integrated amplifiers, you can see it as a guideline more than anything else.